This is the season when we search the yard for snowdrops and crocuses, popping through the melt. Yesteryear’s farmers, however, looked not for these elegant garden imports, but for a reeking native to find signs-of-spring comfort. Skunk Cabbage is by far our earliest wildflower, often appearing even before all the snow has disappeared. Well supplied with antifreeze, Skunk Cabbage also generates heat by a process called thermogenesis. Inside the cabbage hood, which protects a ball of flowers, the temperature can be as high as 70 degrees when the outside air is freezing. That heat, plus plenty of pollen, makes the Skunk Cabbage very user-friendly to some of the season’s first insects, which may gain not only food, but warmth, on an early spring day. Many of those insects were attracted by the plant’s stink, which is reminiscent of rotting flesh – just what a hungry fly loves! 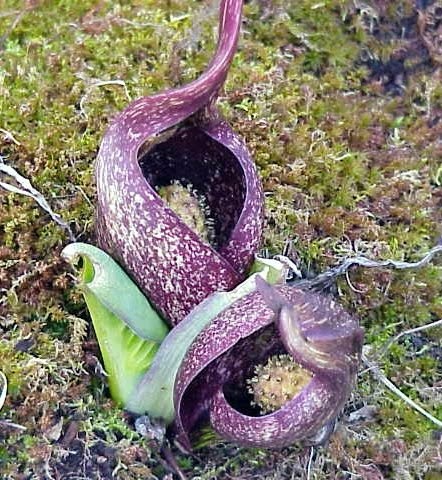 Skunk Cabbage is clever in other ways, including its flavoring. The plant is rich in blistering oxalates that “burn” the tongue and discourage browsers. It’s a defense that has prevented deer from decimating its wetland colonies. What is the 'range' of a bird?